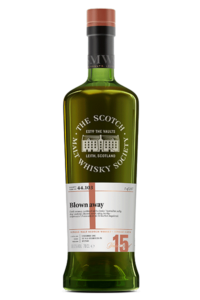 The roots of the SMWS go back to a time before single malt whisky was fashionable, even in Scotland. Since 1983 we’ve been challenging preconceptions and doing things our own way. Here are some of the key factors that make us a whisky club like no other. A malt whisky enthusiast called Phillip ‘Pip’ Hills was fortunate enough in the 1970s to be able to sample whisky straight from the cask during a trip to Speyside, and was astonished by its quality compared with the single malts that were commercially available at the time. Pip formed a syndicate with some friends from Edinburgh and bought their first single cask. 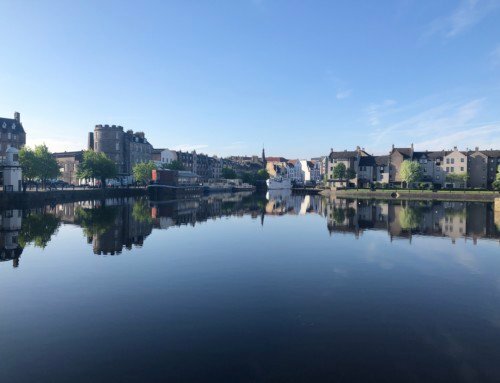 The syndicate was a remarkable success and as word spread about the quality of this malt whisky straight from a single cask, demand grew and grew.  By 1983, Pip and his friends had established The Scotch Malt Whisky Society at The Vaults in Leith, to share their passion for single cask whisky. But what’s so special about whisky from a single cask? Pip did some of his own detective work to find out what made his discovery so much better than a proprietary malt. “There were two main reasons,” he wrote in 1991 in his book Scots on Scotch. “Firstly, casks of whisky vary greatly in type and quality, and the cask has a profound influence on the whisky that is matured in it. When bottling malt, distillers put together the contents of many casks, some of which are not necessarily of the highest quality. 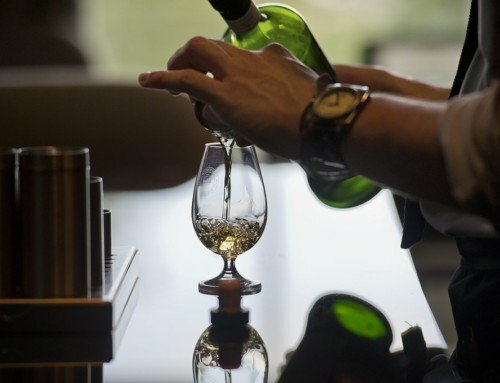 Since the SMWS was founded almost 35 years ago, our whisky is still only ever bottled from a single cask, and at cask strength. That means there is no water or colouring added and there is no no chill filtration. This is whisky as the cask intended, and undiluted for your drinking pleasure. Most whiskies are reduced to 40% abv, but the Society’s cask strength whiskies can range from the low 40s to the mid-60s % alcohol by volume. 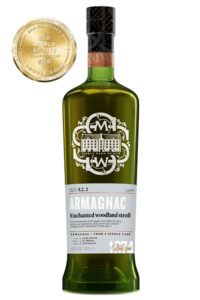 That gives it much more of a punch than your average single malt, but it also allows you to decide for yourself at what strength you want to drink it, rather than having to choose between the standard strengths for commercial bottlings. Single malt is a blend of casks from one single distillery, where the casks are mixed together for consistency. At the SMWS, however, we’re constantly exploring the stores and warehouses of the whisky world, sourcing great casks before they end up getting blended. Our mission is to track down the unique and complex flavours that are the natural balance between the spirit and that one cask. 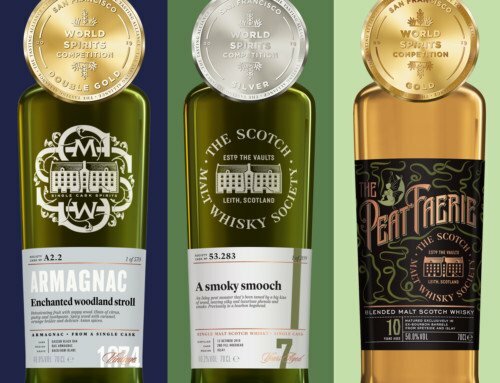 That means even for the seasoned whisky enthusiast, and with around 20 new single casks being released to members every month, the variety of bottlings can be an embarrassment of riches. One way to help navigate that variety is through our unique 12 flavour profiles, from Young & Spritely to Old & Dignified. 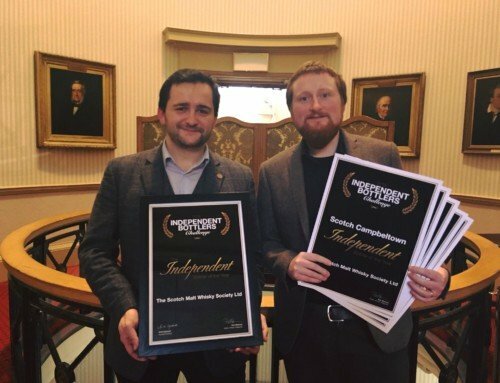 “Because of the unique nature of single casks, we’ll very frequently bottle whiskies that don’t fit in with the regional stereotype, let alone matching that specific distillery’s standard profile,” says SMWS spirits manager, Euan Campbell. Each bottle of Society whisky has a unique bottling code. 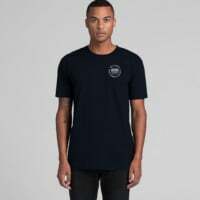 Simply put, the first number represents the distillery the whisky is from; the second represents the number of single casks that have been bottled from that distillery. 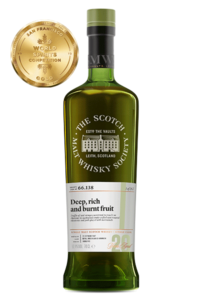 The Society’s first ever bottling was Cask 1.1, bottled in 1983 and offered to its original members in November of that year, part of an Outturn of four single cask whiskies. Two of the bottles were identified as being from Glenfarclas. The others were a Speyside and an Islay from unidentified distilleries. First and foremost, the Society code was created to protect the brands of the distilleries which supply us. Distilleries invest a great deal in creating consistent whiskies to a strict flavour profile, by combining the contents of hundreds of casks into each bottling batch. Each of these single casks, however, has a unique character which – although potentially fascinating – may differ significantly from the target flavour profile. By not naming names in the early days, the Society was able to show sceptical distilleries that their valuable brands would not be damaged by single casks that might not represent their usual flavour profile. Since then our numbering system has become an icon in whisky worldwide. As Society ambassador Olaf Meier says, it embodies the way Society members approach their whisky exploration. 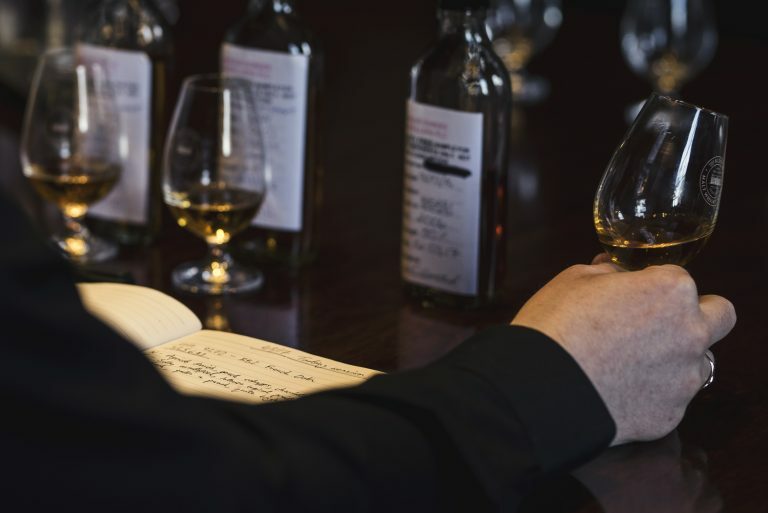 To make it into a Society bottle, any whisky must be approved by our Tasting Panel, which meets regularly to work its way through the samples of cask strength, single cask whisky that comes before it. The panel consists of trusted independent experts, supported by Society staff, though identities are kept under wraps. Each session follows a similar format, with samples assessed for colour, then nosed and tasted neat, before being nosed and tasted again with water. Each panel member gives their impressions of its character and – crucially – whether it’s up to the Society’s high standards. 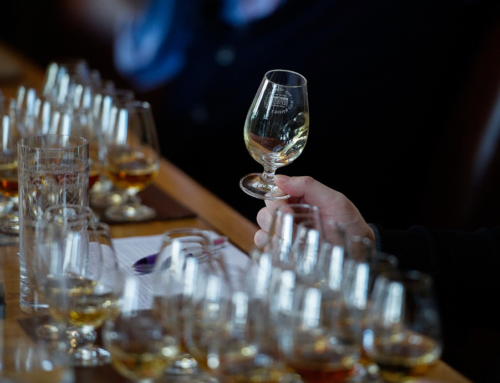 Perhaps what sets the Society apart more than anything else is that we are a place not only to buy outstanding whisky, but to bring members and their guests together to celebrate it. Inherited from the small group of friends who bonded over those first single casks 35 years ago, camaraderie is still at the heart of everything we do. We bring this conviviality and community spirit to life, at our truly unique events, our incredible Partner Bar network around Australia, our international branches and global network of ambassadors. After all….what good is a splendid bottle of whisky if you can’t share the experience?